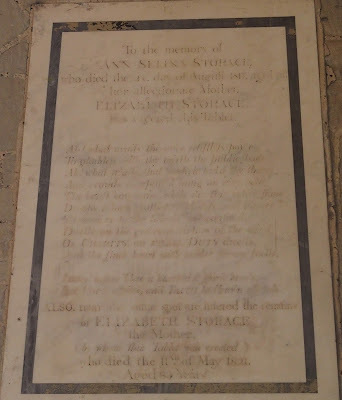 The Garden Museum (in the former church of St Mary at Lambeth) is home to a number of historic tombs including that of Captain Bligh (of Mutiny on the Bounty fame) and the Tradescant's father and son (17 century gardeners and plant hunter), but the one of most interest to musicians is of Nancy Storace the English soprano whose career in the 18th century took her to Vienna and creating the role of Susanna in the premiere of Mozart's Le Nozze di Figaro. 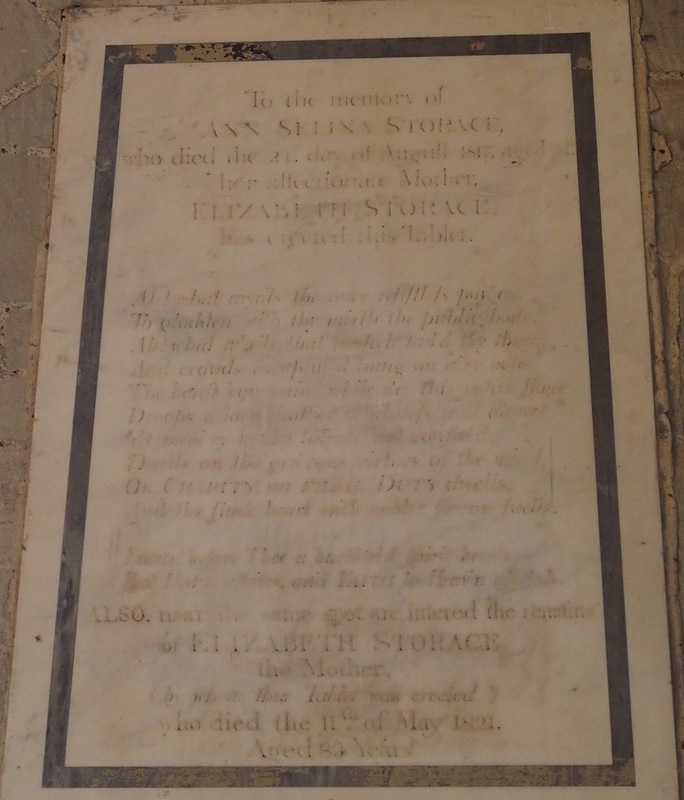 This year is the bicentenary of Nancy Storace's death and to celebrate this Bampton Classical Opera is presenting a concert celebrating Nancy and the music written for her. The concert takes place in a building that Nancy would have known, St John's Smith Square ( a short walk from her final resting place) on Wednesday 7 March 2018. Andrew Griffiths conducts Chroma with soloists Jacquelyn Stucker and Rhiannon Llewellyn, in a programme of music by Salieri, Stephen Storace (Nancy's brother), Haydn, Martin y Soler and of course Mozart. As well as music from Le Nozze di Figaro the concert will also include the wonderful concert aria, Ch'io mi scordi di te with its substantial obbligato piano, which Mozart wrote for himself and Nancy Storace to perform as a farewell present for her before she left Vienna. To gladden with thy mirth the public hour!